When producers of cereals shoot their commercials they use glue instead of milk so the cereal won’t look soggy (sometimes it takes hours to make that perfect shot). Glue also makes it easier to strategically place the cereal in the bowl so it looks appetizing. In case you wondered if Kefalos does it? We don’t – what you see is what you get. 100% of Native Americans are lactose intolerant as they lack the ability to digest lactose, a sugar found in milk products. Fortunately, ice cream and cheese lovers can take pills that contain lactase (the enzyme that breaks down lactose to glucose and galactose) before consuming dairy, or choose lactose free products, if available. Milk is said to have a soothing effect on skin. The most famous example hereof is probably Roman Empress Poppaea, who kept 500 cows to provide milk for her bath. No wonder she was called “Poppaea the Younger”. Dairy products may reduce colon cancer risks, because of their calcium and vitamin D content. For example, a study in the British Journal of Nutrition in 2006 found that people who drank very little milk had a somewhat higher risk of colon cancer than those who drank at least a glass a day. A milk proteincalled casein is used in the manufacturing of latex, which means most condoms have milk protein in them! Casein, which was considered a waste product up until the 1920’s is also used in paint, glue, plastics, fibers and medical products. German clothes designer and founder of the fashion label Mademoiselle Chi Chi, took milk to the next level in 2011 when she invented a new fiber called QMilch. The fiber, originating from the milk protein casein, is heated and spun into garmentS. But don’t worry – it won’t go sour and can be washed like all other clothes. That adequate calcium from childhood through early adulthood is important for bone health is not news. But did you know that calcium is also needed for many other bodily functions, such as regulating heartbeat and blood pressure, conducting nerve impulses, allowing muscles to contract and helping blood clot? 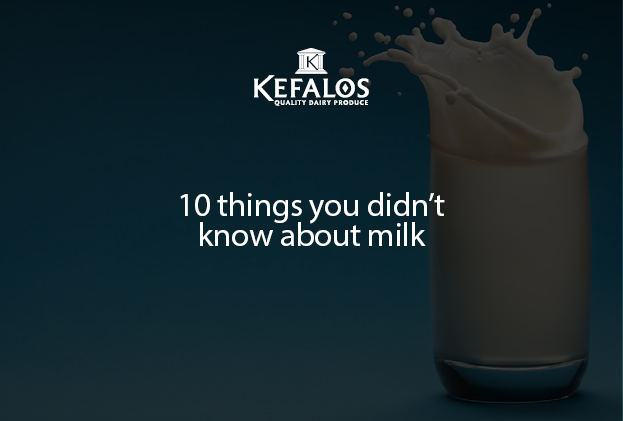 To be able to store milk, a so called pasteurizing method is used, invented by French scientist Louis Pasteur during the nineteenth century. In short, the milk is heated to around 70 C° for a short period, killing off any bacteria and making it safe to drink.